Automated analysis tasks need parameters from the user. 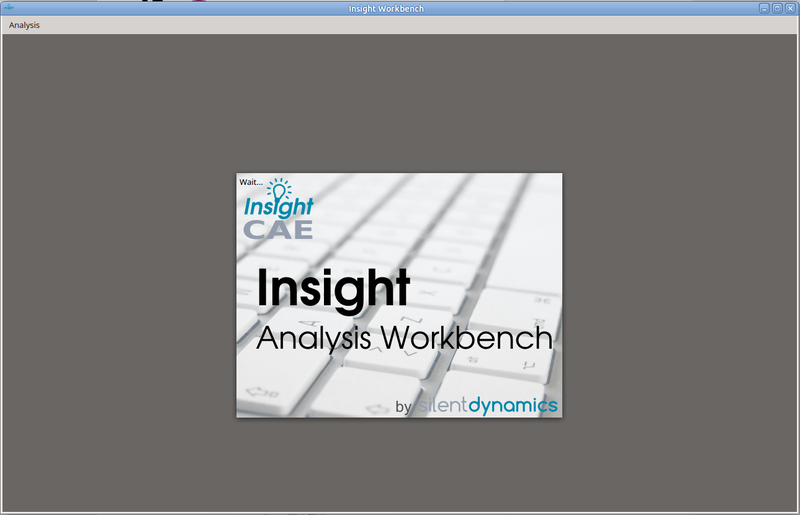 To edit the parameters in a comfortable way, InsightCAE provides a tool called "workbench". A new analysis is started by selecting "Analysis > New..." from the menu or by pressing Ctrl+N. 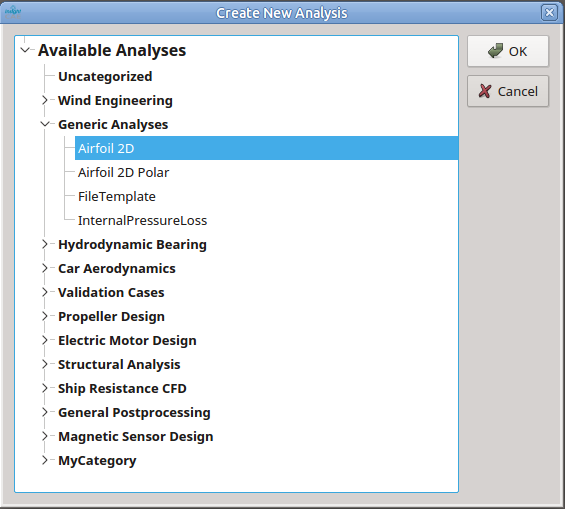 Select the analysis module which you want to use. The analyses are grouped in categories present the list clearly. 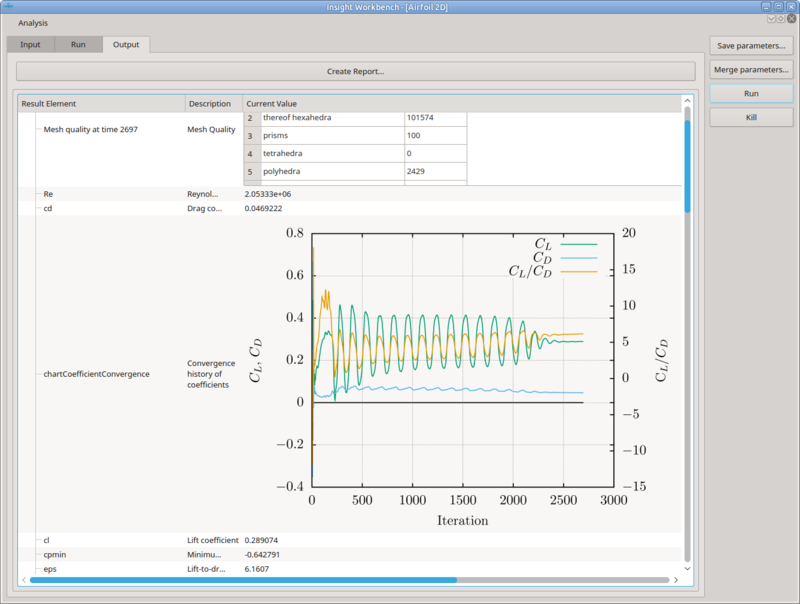 Once an analysis is selected and confirmed by "Ok", the parameter editor appears. The parameters are grouped in the tree widget on the left and initialized with their default values. If a parameter is selected, some documentation for this parameter will be displayed in the frame right from the parameter list. Below the documentation area, the control elements for editing the parameters are grouped. If parameter data has been entered, it can be set by clicking on "Apply". Once all parameters are set properly, the configuration can be saved by "Save parameters...". It is also possible to merge a parameter set from a file into the currently opened set. Select the "Merge parameters..." button for this purpose. The parameter set which shall be merged does not need to be from the same analysis type as the currently opened one. Only parameters which exist also in the current set are overwritten. Parameters which do not match are ignored during merging. By clicking on "Run", the analysis is started. 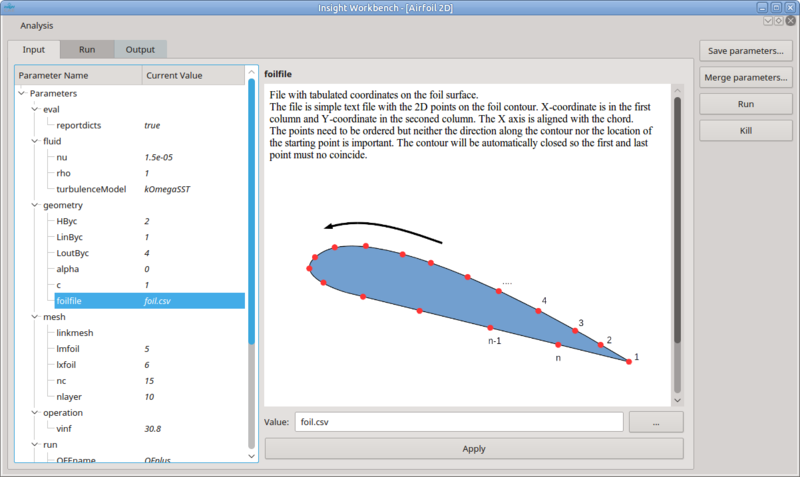 In the shown example, this includes meshing, solving and postprocessing. After starting the run, the workbench switches to the "Run" tab. 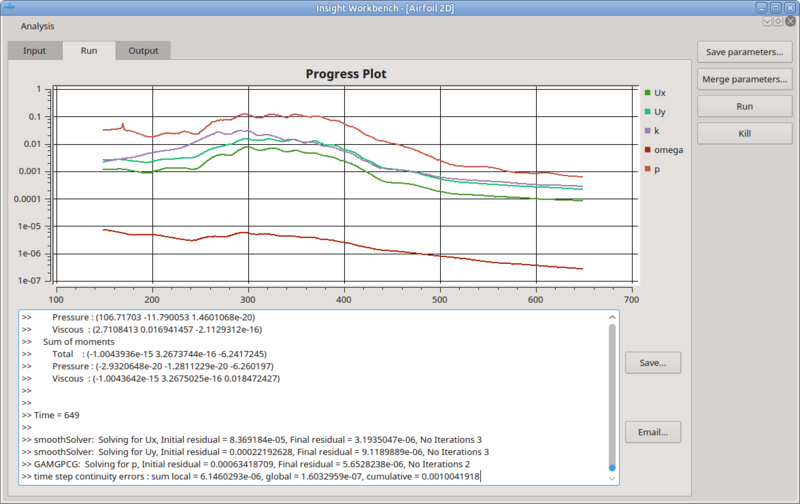 This tab shows a progress plot during the solution. The plot displays e.g. the residuals of the solver or other quantities like forces or coefficients. 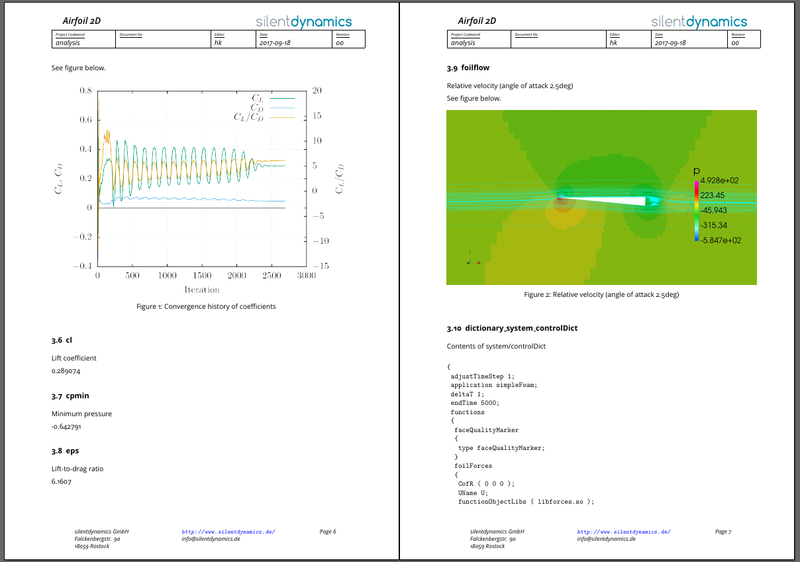 For some simple analyses it might also be possible that no quantities are visualised. Furthermore, below the chart, the standard output of the running subprocesses is displayed. This log can be saved to a file by clicking on the "Save..." button or sent directly via email by clicking the "Email..." button. If the output reveals problems or shall be cancelled for any other reason, this can be archieved clicking on the "Kill" button. After the analysis run has finished, the computed result elements are loaded and displayed on the output tab. The results can now be inspected. Above the element list, there is a button for creating a report from the result elements ("Create Report..."). 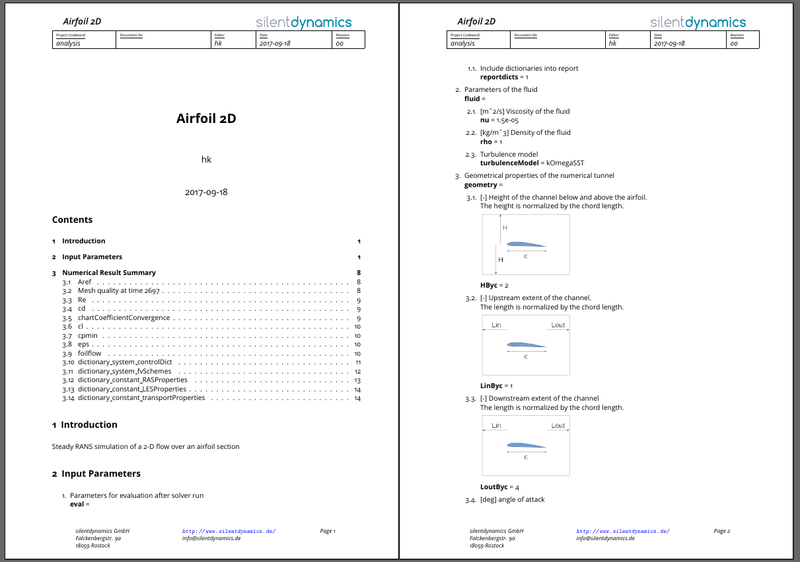 The report contains the input parameters together with all elements from the result preview in a high resolution PDF file. In the following, two excerpts are shown. The report is created through the LaTeX typeset system. By default, a plain LaTeX template is used. A different template can be selected by setting the environment variable INSIGHT_REPORT_TEMPLATE to a customized template report. -f [ --input-file ] arg Specifies input file. After the analysis finishes, the latex compiler is automatically run and the PDF is created.